Pramiracetam is one of the most powerful racetams available. If you’re looking for a nootropic that’s exceptionally strong, it might be just right for you. Like Aniracetam, Pramiracetam, N-(2-(diisopropylamino)ethyl)-2-oxo-l-pyrrolidineacetamide, is fat soluble. That means it crosses the blood-brain barrier easily. 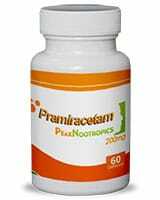 In fact, Pramiracetam dissolves in fat more easily than any of the other racetam do. This allows it to be absorbed very rapidly and could explain why its effect is so stroing. 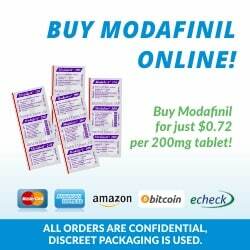 >> Looking to Buy Pramiracetam? Click here to see our recommended sellers. Pramiracetam was developed by Parke, Davis and Co., which reported the drug’s nootropic effects in 1978. Since then, further research has demonstrated its neuroprotective and memory enhancing effects. Studies in rats and mice have shown that Pramiracetam improves retention, enhances spatial learning ability and helps prevent chemically induced amnesia. A 1991 study showed that Pramiracetam improved memory and helped treat other cognitive problems in men with brain injuries. The improvements persisted a month after the men stopped taking the drug. In 1994, researchers gave male volunteers scopolamine to induce amnesia. When the volunteers were given Pramiracetam, the amnesic effects were partially reduced. Some studies have suggested that Pramiracetam could help people with Alzheimer’s disease, but other studies have produced conflicting results. Pramiracetam users report that it allows them to think more clearly and focus more easily. Scientists aren’t exactly sure how Pramiracetam gets its effects. Research shows it increases choline uptake in the cerebral cortex and in the hippocampus, which plays a role in memory formation. Choline is a precursor to acetylcholine, a neurotransmitter associated with learning and memory. Although some users claim that Pramiracetam helps with social anxiety, it hasn’t been shown to have any effect on dopamine or serotonin receptors. If you’re specifically trying to relieve social anxiety, you’re better off taking Aniracetam, which does affect these neurotransmitter receptors. Pramiracetam is much stronger than Piracetam. Research on rats shows that a dose of Pramiracetam can have 10 to 15 times the effect of the same dose of Piracetam. Recommended doses of Pramiracetam range from 75 to 1500 milligrams day. These should be broken up into two or three doses throughout the day. In fact, Pramiracetam is so powerful on its own that it’s been recommended that you don’t stack it with any other nootropic. You can take it with choline to prevent headaches. Pramiracetam in powder form is known to have an exceptionally bitter taste, to the point of being almost unpalatable. Because it isn’t water soluble, you can’t mix it with juice. 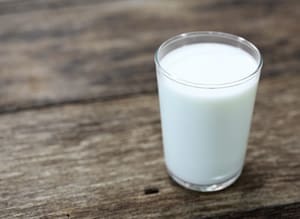 Instead, you can mix it with something fatty, such as milk. You can buy Pramiracetam in pill form, but it will cost more and you won’t be able to make small dosage adjustments. 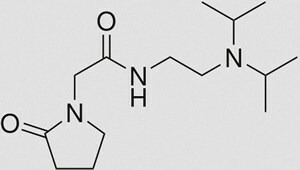 Like Aniracetam, Pramiracetam, N-(2-(diisopropylamino)ethyl)-2-oxo-l-pyrrolidineacetamide, is fat soluble. That means it crosses the blood-brain barrier easily. 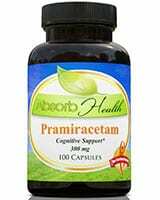 In fact, Pramiracetam dissolves in fat more easily than any of the other racetams do. This allows it to be absorbed very rapidly and could explain why its effect is so strong. Originally posted on June 11, 2014, last updated on December 4, 2018. I bought some Pramiracetam in pill form 300mg. I think it has an effect. Can I take more? Where can I buy it in powder from in Australia?